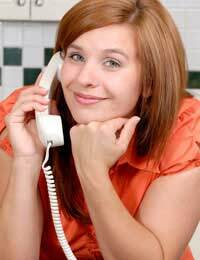 Many of us at some time or another will receive telephone calls from individuals or companies who withhold their telephone numbers. Although this is not an illegal practice it can be an annoying one especially if the caller is a company or individual intent on trying to avail you of a service or product that you might not necessarily be interested in otherwise. Caller ID is a function provided by most telephone service providers so that you can see who is calling you prior to answering the telephone. The function is designed to display the telephone number on the readout display of your telephone giving you the opportunity to monitor calls to your landline prior to answering them. This is a feature of most mobile telephones these days and is now almost as popular on landlines with most telephone service providers offering the service for a nominal fee which is added to your monthly or quarterly bill. As we have already mentioned the main benefit of this service is the ability to know in advance who is calling us. It means in essence we can sift out all of those unwanted cold calls which many companies use as a means of trying to gather information or drum up new business. This is especially useful if you live alone or live in a geographical ‘hot spot’ where telephone sales calls are rife. As we have already touched on most telephone companies will provide this service for you at a nominal cost per bill: to find out how much the service will cost you it is best to contact your telephone provider or visit their website for further information. Nearly all modern telephone handsets now have a display which will show the number of the caller prior to your answering the phone giving you the option to accept or decline the call. In addition your handset will also store these numbers until it’s memory is full or until you clear the memory yourself. Many identity fraudsters use cold calling as a means of gathering information on those they are likely to try and defraud. These fraudsters will call with the intention of trying to gather information as to your name, your address, your date of birth and any other information they can reasonably extract from you during the course of a telephone call. This is where Caller ID comes into its own because if you receive calls from a specific number or series of numbers repeatedly then you can make a note of them and pass this information on to the Telephone Preference Service (TPS) or your telephone service provider who will make enquiries as to the legitimacy of the individual or company calling. Should I Use Caller ID? The simple answer to this is yes; if you are happy to pay the nominal fee your telephone service provider will charge you then the service is invaluable. In conjunction with this you should – if you have not already done so – contact the Telephone Preference Service (TPS) and register with them. Registering your details with the Telephone Preference Service (TPS) means that the number of nuisance calls you receive from unwanted sales people will drop and any company that continues to contact you after you have registered for this service is liable to fines of up to £5000. For further information or to register for this service you should visit the Telephone Preference Service’s (TPS) website.